how a father misses his kids… a personal story. I have been back here in Laguna for a week now since my wife gave birth to our third kid, a son. I am very thankful to God that He gave me another kid, and that all was well during and after the birth. I hated leaving them at my wife’s family residence. Don’t get me wrong about it, her family is okay. It’s just that I am so far from my kids and I can’t watch over them and my kids… I really miss them. Oh yeah I do. And here I am, writing this because I just spoke to my little girl, she said that she misses me and it breaks my heart that I can’t hug her and be with her everyday. Not only her, but my 2 sons as well! They will be here by August, can I just pull it faster? If only things were a little bit better and more secured, this will not be happening. i keep on recalling those words. it gave me somehow, an assurance that what i was going through back then is not isolated. because during those times, i was already thinking of suicide. i never thought of suicide before, but during my depression, 1999-2007, i had several “attempts” already. non of them involved knives and ropes or tall buildings. it only involves vehicles. being run over by vehicles was my choice. back in 1989, i was in grade 6, just 12 years old. 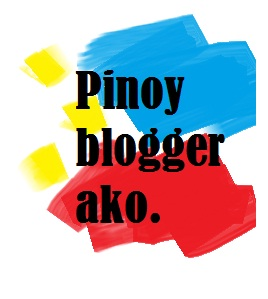 i had a vehicular accident that involved a jeepney. i lost consciousness back then and just woke up the following day in a room in V. Luna in Quezon City. my depression back then was somehow, in relation to my leaving the church where i once served. i felt that the people there “betrayed” me when they all agreed that i will always be the black sheep. labeled as the “backslider”. funny, i still somehow feel the pain of that incident. i transferred to Pasig City from Laguna. i had to, my work then demands time of rest. i spent time there alone, wanting to go to a church to start my “therapy”. i then heard that Victory will have a church at Robinson’s East. i went there during the very first service. i had been nurturing and harboring the anger and hatred throughout those years. and attending Victory services somewhat eased them. it is not the church actually, it’s the new surrounding i guess. i had to admit though that the recovery is very hard. i am still at the recovery stage. i put up [soulprojekt] with the AA in mind. i felt that it was the same as addicts going through therapy. that is where i belong. on the way to recovery… will be there, hopefully sooner. MANILA, Philippines—The bicameral conference has approved the addition of a ninth ray to the sun in the Philippine flag to represent the Muslim people. 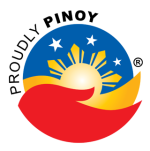 The flag’s current eight-ray sun represents the eight provinces that first rose in rebellion against Spanish colonial rule in 1896—Manila, Cavite, Bulacan, Cavite, Pampanga, Nueva Ecija, Tarlac, Laguna and Batangas. The Senate and the House of Representatives approved the proposal on Tuesday during the bicameral conference which met to reconcile the two chambers’ proposed amendments to the Flag and Heraldic Code. The conference ironed out the differences between Senate Bill No. 3307 and House Bill No. 6424. In a statement, Gordon lauded the approval of the ninth ray, saying that it would foster greater unity among Filipinos regardless of religion. “We are a country that has had a conflict with our Muslim brothers for the last so many decades. I think this is a big step towards reuniting our country, recognizing the contributions of our fellow countrymen, the Filipino Muslims. We should recognize their deeds in our country,” he said. Aside from Gordon, present during the bicam were Senate majority leader Juan Miguel Zubiri, and Representatives Del de Guzman, chairman of the House panel, Ma. Carissa Coscoluella, Salvador Escudero III and Roman Romulo.